IoT in agriculture, why is it mandatory for sustainability? Agriculture is facing a global multifold crisis. Farmers around the world are facing the colossal task of providing food, fuel and fiber in a sustainable way to a growing population while maintaining profitability of their businesses. Agriculture takes place in nature, with all the variability and uncertainty implicit to natural environments. In other industrial production sectors, it is possible to evaluate the impacts of management on production with a high level of precision, thus enabling optimization of input use. This is not the case in agricultural production. For example, agricultural science cannot precisely predict how reducing N fertilizer rate by 25% will affect yield, net revenue, GHG emissions or ground water pollution for instance. Such capability is crucial to meet the challenges of the coming decades. In this context, we need to change the way we take decision on the farm, going from management based on average response to management based on actual conditions. This involves the measurement of soil, plants and environment at a the right spatial and temporal resolution to enable site- and time-specific management decisions. In this context, the use of information and communication technology, Internet of Thing (IoT), big data and artificial intelligence is mandatory if we want to win the race towards a sustainable agricultural system. emissions from agriculture practices. In 2018 he organized a scientific workshop on the use of big data and artificial intelligence applied to agriculture. Dr Longchamps is the current Pierre C. Robert Precision Agriculture Young Scientist Awardee offered by the International Society of Precision Agriculture. 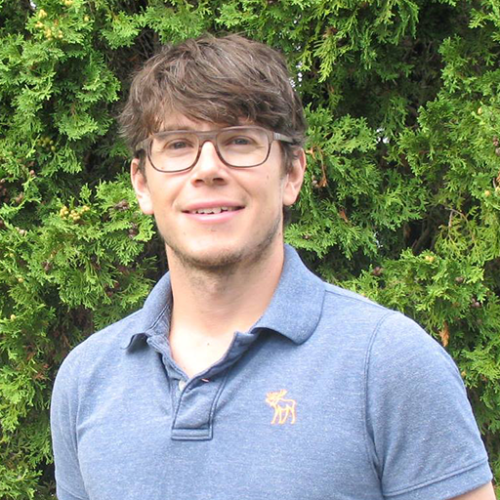 He completed his PhD in Plant Sciences from the Université Laval in 2012 and has conducted postdoctoral studies at the Colorado State University where he also held a position of Assistant Professor.